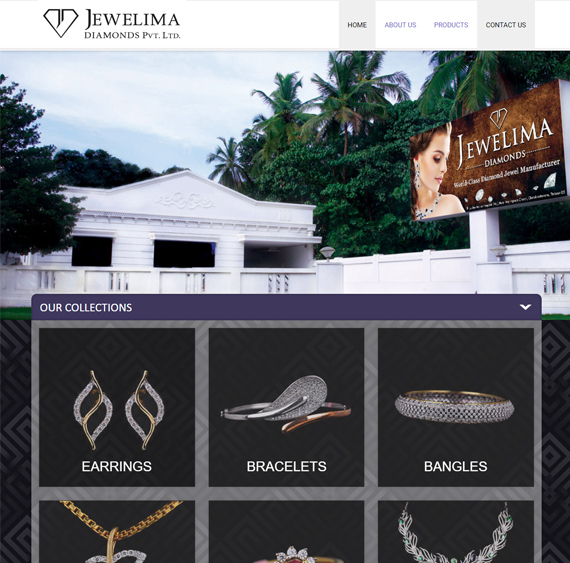 We Jewelima diamonds pvt ltd is a jewellery manufacturing firm located in the cultural city of kerala - Thrissur. our firm consist of ultra modern machineries imported from various countries like Germany,Italy,Japan,USA. Our highly qualified professionals are specialized in, below one cent micro prong setting diamond jewellery. 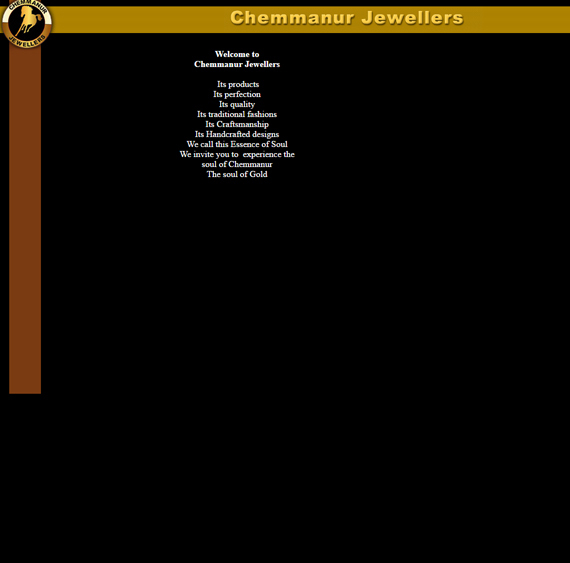 we also exporting to most of reputed jewelers throughout india and abroad. 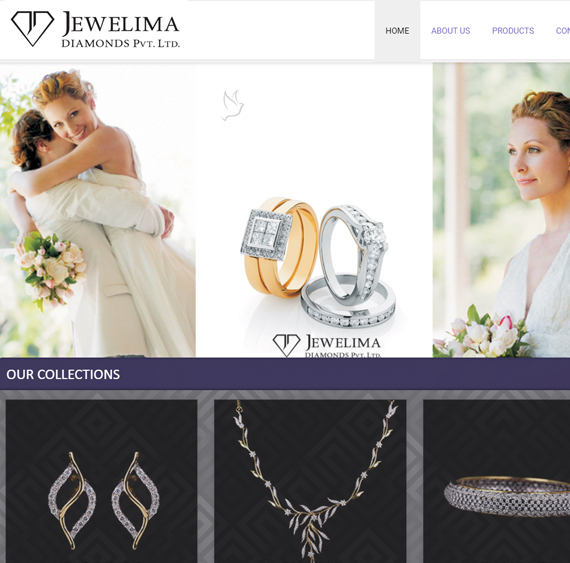 A team of well skilled designers to full fill all customized diamond jewellery requirements with its perfection. we have a specialized R&D department using cad & cam technology and well trained professionals. As far as technology & infrastructure is concerned it is one and only it’s kind of unit in Kerala. 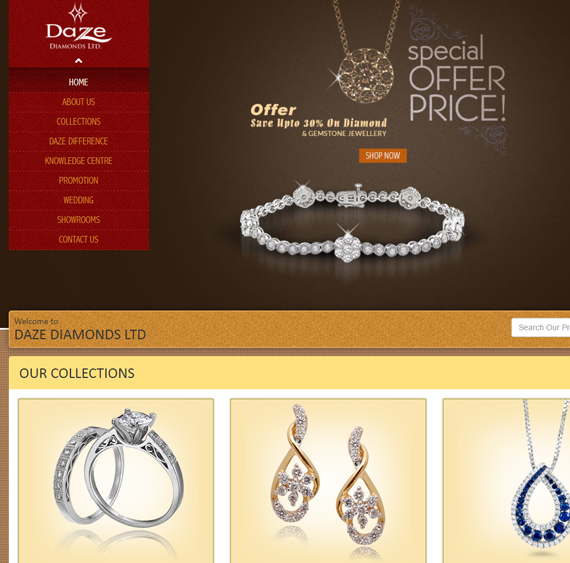 Daze Diamonds ltd is a public limited company which have grown as a leading manufacturer and wholesaler of diamond jewellery in India and overseas within a very few years of its incorporation in the year 2007. The company which has grown tremendously in the field of wholesale diamond industry materialized the delight idea of an exclusive diamond factory outlet in the heart of thrissur city in a very short span of time with the unconditional support & trust of our customers on our brand. We sell only IGI & GSI certified diamond jewellery on BIS Hallmarked gold and PGI certified Platinum metal. It is a statement of who you are and how you are seen. We know how important it is for you – a discerning customer. So, we have taken the utmost care in everything from the store location and ambience to the quality of the merchandise. 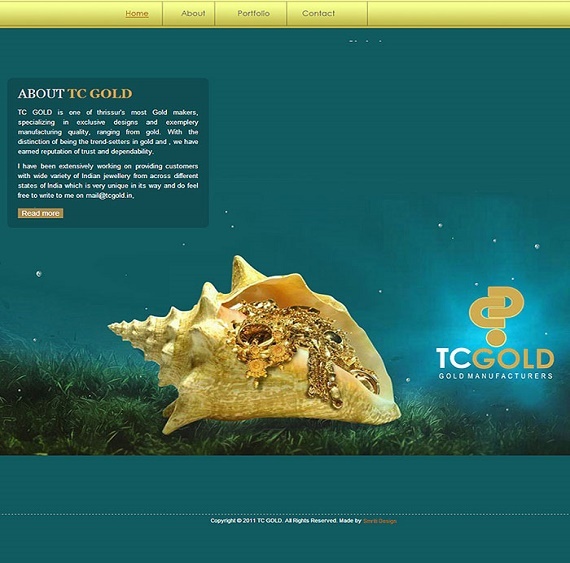 TC GOLD is one of thrissur's most Gold makers, specializing in exclusive designs and exemplery manufacturing quality, ranging from gold. With the distinction of being the trend-setters in gold and , we have earned reputation of trust and dependability. 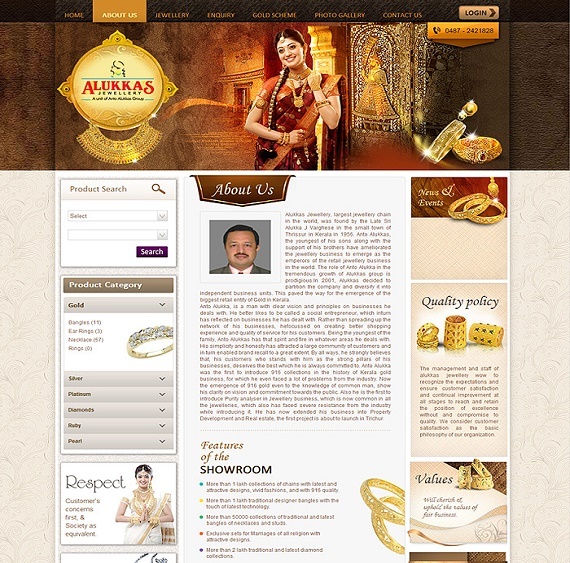 Alukkas Jewellery, largest jewellery chain in the world, was found by the Late Sri Alukka J Varghese in the small town of Thrissur in Kerala in 1956. Anto Alukkas, the youngest of his sons along with the support of his brothers have ameliorated the jewellery business to emerge as the emperors of the retail jewellery business in the world. The role of Anto Alukka in the tremendous growth of Alukkas group is prodigious.In 2001, Alukkas decided to partition the company and diversify it into independent business units. 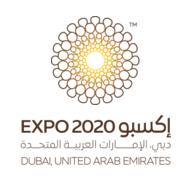 This paved the way for the emergence of the biggest retail entity of Gold in Kerala. Anto Alukka, is a man with clear vision and principles on businesses he deals with. He better likes to be called a social entrepreneur, which inturn has reflected on businesses he has dealt with. Rather than spreading up the network of his businesses, hefocussed on creating better shopping experience and quality of service for his customers. Being the youngest of the family, Anto Alukkas has that spirit and fire in whatever areas he deals with. His simplicity and honesty has attracted a large community of customers and in turn enabled brand recall to a great extent. By all ways, he strongly believes that, his customers who stands with him as the strong pillars of his businesses, deserves the best which he is always committed to. Anto Alukka was the first to introduce 916 collections in the history of Kerala gold business, for which he even faced a lot of problems from the industry. Now the emergence of 916 gold even to the knowledge of common man, show his clarity on vision and commitment towards the public. 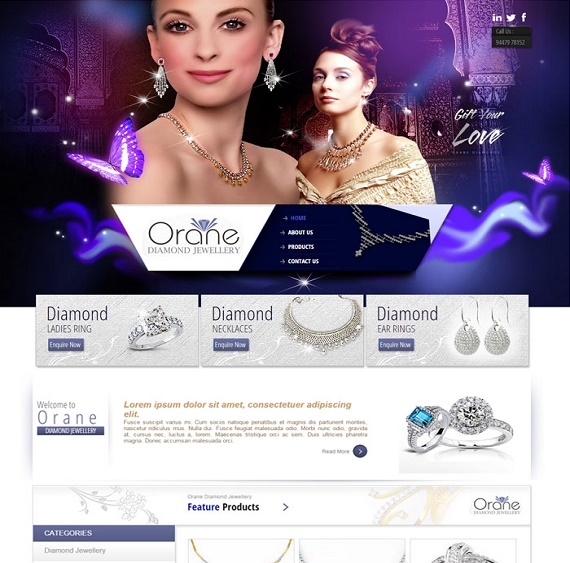 Also he is the first to introduce Purity analyser in Jewellery business, which is now common in all the jewelleries, which also has faced severe resistance from the industry while introducing it. He has now extended his business into Property Development and Real estate, the first project is about to launch in Trichur.